There were signs of a bit of a migration today with Little Ringed Plover, Dunlin, Redshank and a Yellow Wagtail flying over the Observatory whilst working through the moth traps and 87 Sand Martins passing through during the day. The Patch remains almost non-existent but still had a juvenile Mediterranean Gull and three juvenile Yellow-legged Gulls around it. 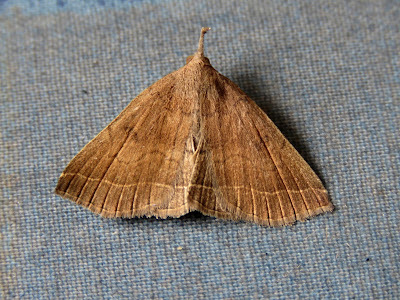 The moth traps were quite productive with highlights including Star-wort and Plumed fan-foot (second this year and sixth record in total) and the pyralid Anania verbascalis. Two Clouded Yellows and 22 Brown Argus were of note among the butterflies and a female Red-veined Darter was seen along the front of the power station. Two Red-eared Terrapins were seen at the Long Pits..